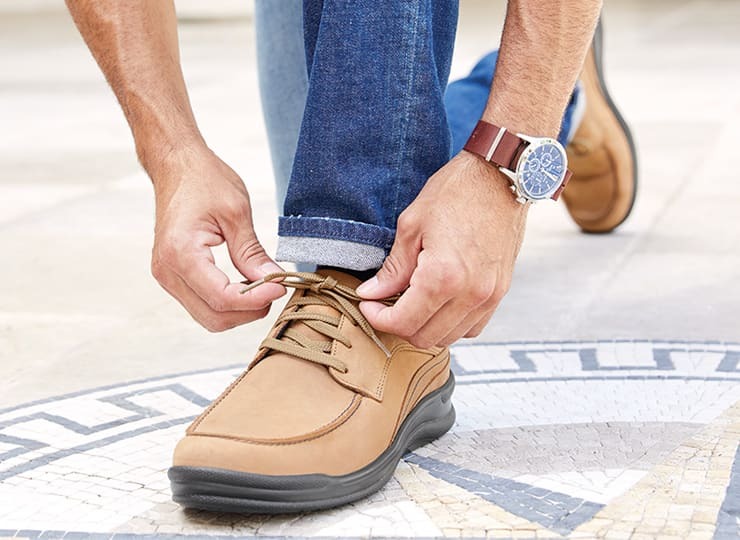 Walking just got easier with Move On. Enjoy cushioned comfort with our innovative TRIPAD® Technology and our soft, lightweight sole. S-Motion Technology® built in aids in the three-step walking motion, from initial heel strike, through the mid-step and to the final toe push-off. Heel Height: 1.625" This item features a removable footbed. S-Motion Technology®: A unique construction that supports the three-part walking motion, starting with heel contact, through the mid-part of the foot and arch, and finally through the toe push-off. This helps the natural stride and is made to improve walking. These by far are the best made and most comfortable shoes I have ever worn. I hope this company stays in the USA for a long time. Usually I go with a 44 which equals a 10-101/2 but the 11 fit much better. Got my Shoes at Stans in Milwaukee. Bunion problem. My second pair of SAS. My first were athletic shoes. Pleased. Have had the original MBT so I didn't even notice the very mild bounce. My concern is that there is not a lot of space above the foot. Makes for a better style. Hope it doesn't dig in. Width seems to accommodate a side bunion well. I learned not to resole. I resoled my athletic SAS by a local, and very experienced shoemaker. Expensive and didn't last. Put resole money towards a new shoe. Took my mom to SAS for years. She had a large bunion and was always satisfied with SAS. This is my second purchase of SAS shoes and just about the most comfortable shoes I have ever worn. One problem--I was practically forbidden, by a strident and bossy saleswoman, from buying a tinted shoe cream and instructed instead to buy a neutral one. I liked the original color (brown) but after a little wearing I noticed that the finish looked uneven and worn. I treated them with the neutral cream and they looked better but it did not last long at all. After three weeks the shoes looked years old and worn. The finish was uneven and really quite terrible. Yesterday I bought a jar of brown-tinted shoe cream (from another company). The shoes are a little darker than they were, but they look great, shiny and smart. SAS should let the customer decide, and also provide a more durable finish for this shoe. Oh, and lose the bossy sales staff. I've ordered shoes from SAS for years and they never disappoint, these shoes in particular are really great! I was buying $40-$50 dollar shoes every 6 months, I work at a hotel. SAS was at my hotel selling shoes one day and I tried a pay on because "I wanted to see what an expensive she felt like"? Wow, it was a comfort I had never felt before. I immediately bought the shoes. It was the most I had ever paid for a pair of shoes. Fast forward 7 years, I have finally wore them out, and I wore them to work every day for the past 7 years. So, I have saved over $100.00 and was never walking on a half worn out shoe ever 3 month. I am back today to by another pair and can not imagine wearing any other shoe for work. 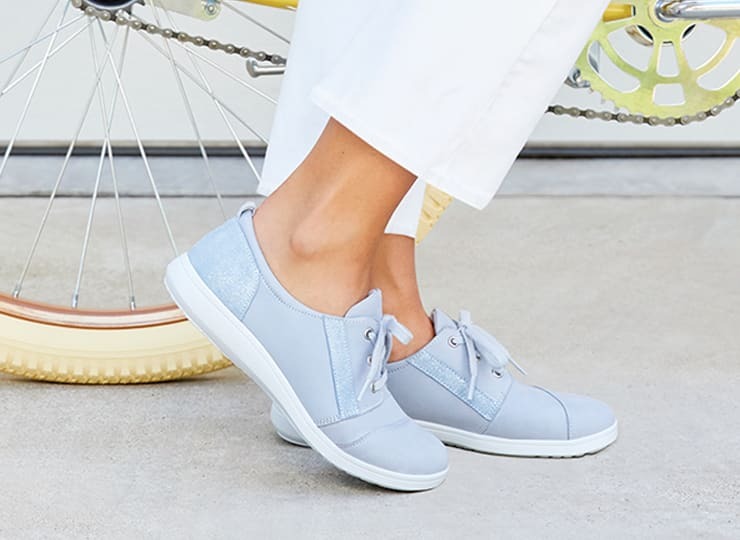 These shoes are exceptionally comfortable and look great. The S-Motion Technology makes for a walking experience like I never had before in a shoe. I can best describe it as a smooth gait where the heel strikes and then the mid portion and forefoot follow in a rocking type feel. You have to try them for yourself. I can't recommend these highly enough. I even bought a pair in black as well because I like them so much. The style works well with khakis or jeans. My wife encouraged me to purchase a pair of SAS shoes because of being on my feet all the time and I selected Move On in Camel. These are the most comfortable shoes I have ever owned. I have enjoyed them so much I purchased a pair in Brown just to have another color option but the same comfort. I also love the fact that they are made in America and I can wear them with pride and comfort. I have just purchased the Move-on in black and I was speechless at the comfort!! I have been walking around the mall all day in some well-worn SAS Bout Times and once Bonnie put these on, my feet were in heaven!! I think there is some good engineering going on with this shoe. If you want comfort these are definitely the shoe for you!